Thank you to i play. for the teether. All thoughts and opinions are my own. i play. 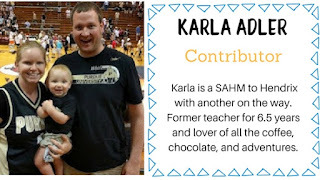 is on a persistent mission to create safer and healthier products for our babies. 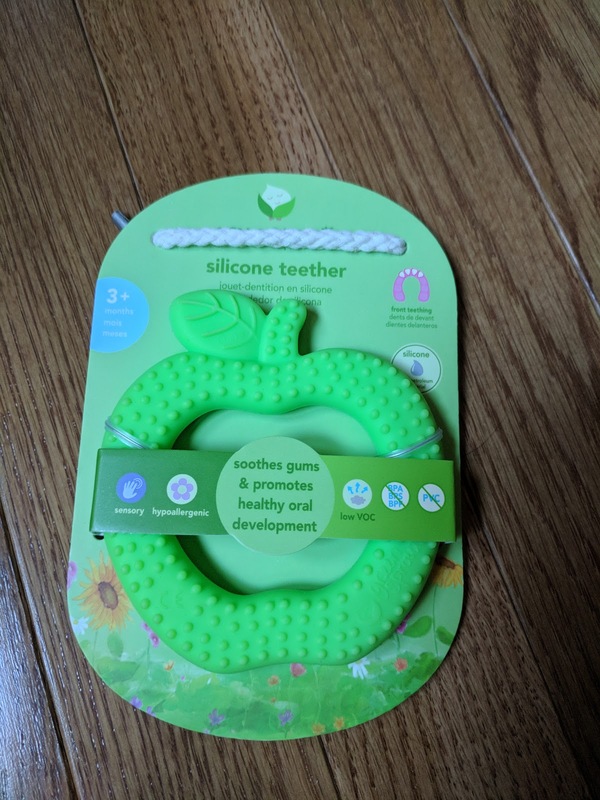 Their new Silicone Fruit Teether is perfect for your teething littles soothing gums and promoting healthy oral development. The silica (sand) base is unlikely to give off odors or vapors and the variety of textures is very attractive to babies. 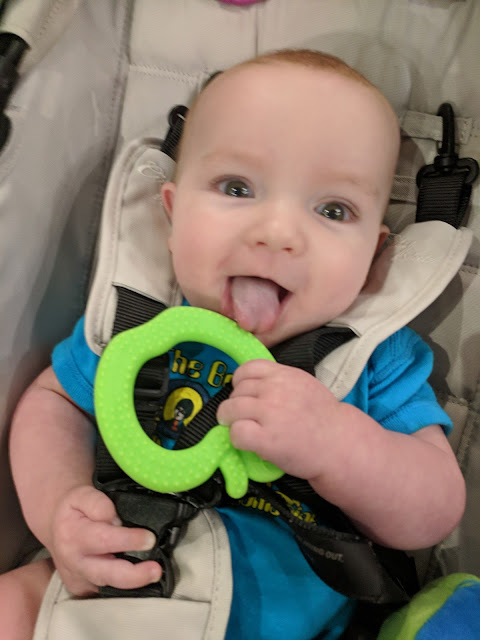 Let me tell you, this teether could not have come at a better time. A little before Maverick's 4 month check-up, I noticed him drooling more. Upon further inspection, I noticed four little swollen spots right in front, two on top and two on bottom. Since 4 months seemed a little early, I asked the pediatrician for confirmation. She said it is as early as you can start getting teeth, but there were definitely four teeth in the process. As of yesterday, one little bottom tooth has starting coming through his gums. 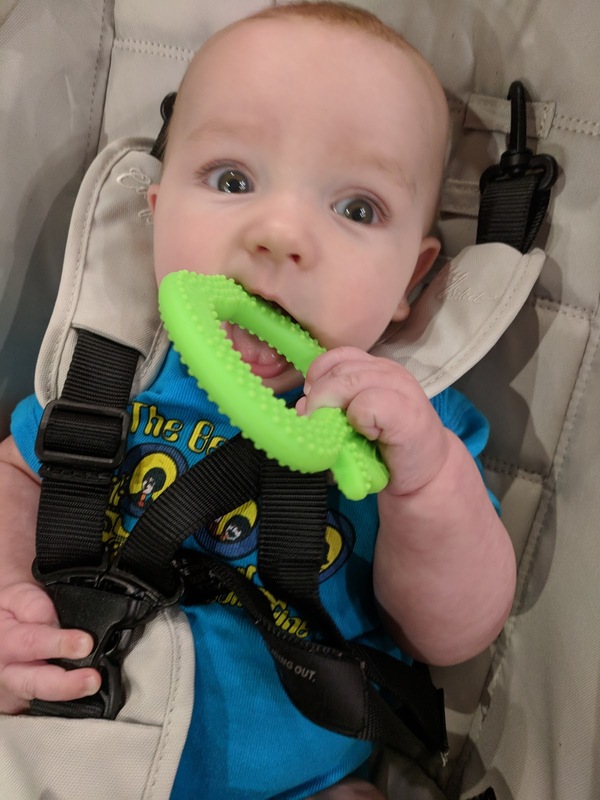 Maverick loves this teether. It is easy to grip, lightweight, and the texture must feel great on his teeth. I think Maverick loves the color, but I do, too, because it makes it easy to find for both of us. Give the babies something that is easy to use and makes their gums feel better. Buy it for you or for a mom with a teething little.